Bright Star World Dance, at the corner of High and Spring Streets (above Little Tap House), features high ceilings, beautiful hardwood floors, and many unique fixtures and original architectural details. All shoes must be removed before entering the studio space. This venue is NOT ADA-Accessible (three flights of stairs). Venue is open to all ages. SPACE Gallery is a non-profit arts organization dedicated to presenting contemporary, emerging and unconventional arts, artists and ideas since 2002. 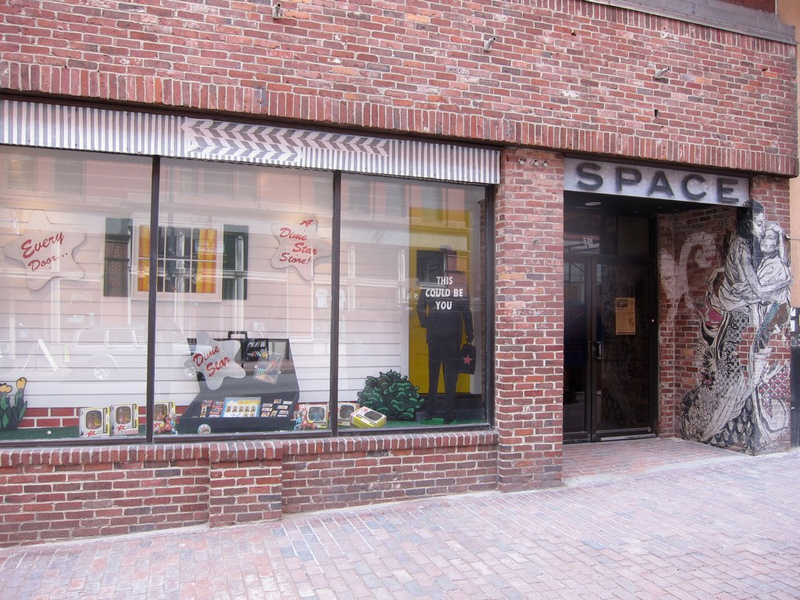 PortFringe welcomes SPACE back as a venue! The landmark Congress Street building has historical designation and has existed in many forms, namely as a corset store, a pizza shop and a Wendy’s. 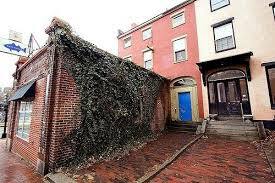 The building was originally a 19th century hotel. Now it currently houses the SPACE main venue, the dedicated gallery space, the window gallery, our offices, Pickwick Independent Press, the artist residency studio, and SPACE Studios. Mechanics Hall was built in 1859 and is listed on the National Register of Historic Places. The majestic ballroom, designed by John Calvin Stevens, has recently been restored and re-opened for public events. It features beautifully maintained architectural details, high ceilings, and large windows overlooking the heart of the Arts District corridor. PortFringe is proud to partner for the first time with this culturally significant building which has already begun to fill the void of performance space for Portland’s independent theater scene. Two stages, and one of them is also our Fringe Central! 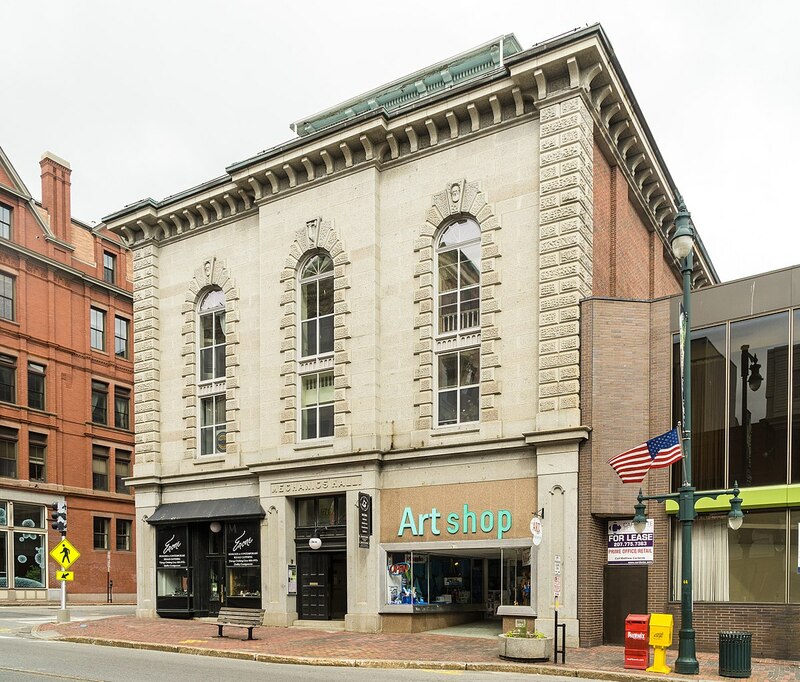 Portland Stage Company is Maine’s largest professional, non-profit theater, located inside the beautiful Odd Fellows Hall built in 1896. It’s also the home of Fringe Central, the official PortFringe hang out spot located in the concessions lobby. Lobby will be open an hour before the first show in any of the venues for PortFringe and be open throughout performances. Drop in, get tickets, learn more about the shows featured in the festival, and grab a drink!